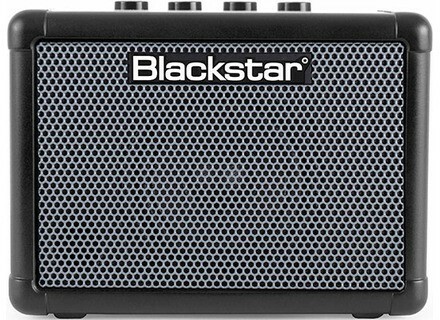 Fly 3 Bass, Bass Guitar Combo Amp from Blackstar Amplification in the Fly series. FLY 3 Bass is a compact analogue mini amp that makes bass tones available on the go. It combines two selectable channels, a continuously variable mid-cut EQ, Sub bass and a compressor for enhanced control over your dynamics. An MP3 / LINE IN jack is also available, allowing to connect a MP3 player, mobile phone, laptop, tablet (etc). and jam along to any track. The Speaker Emulated Output jack can also be used with headphones or for recording. The FLY 3 Bass can also be combined with the FLY 103 to create a 6 Watt stereo bass guitar amp set-up. The pair of them linked together can also be used as a portable speaker system for your PC or computer speakers to play your music through. The FLY 3 Bass is already available at your retailer. 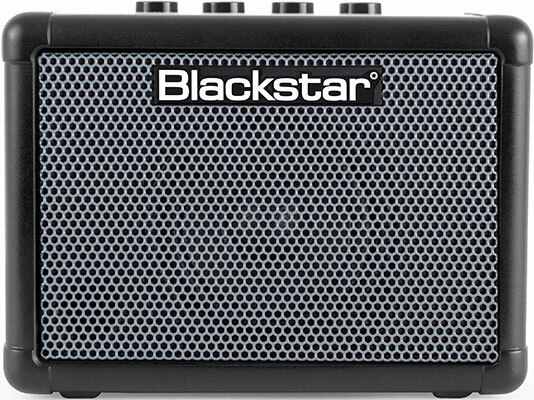 More details at www.blackstaramps.com. [NAMM] [VIDEO] Five demos from the EHX booth Live demonstrations of Electro-Harmonix's Soul Pog, Lester G, Lester K, Bass Preacher and Super Space Drum pedals at the 2016 NAMM. [NAMM] [VIDEO] 3 new Catalinbread pedals A demonstration of Catalinbread's new SFT, Bicycle Delay and Discman pedals, live from the NAMM.